Educational application for the most intelligent kids. 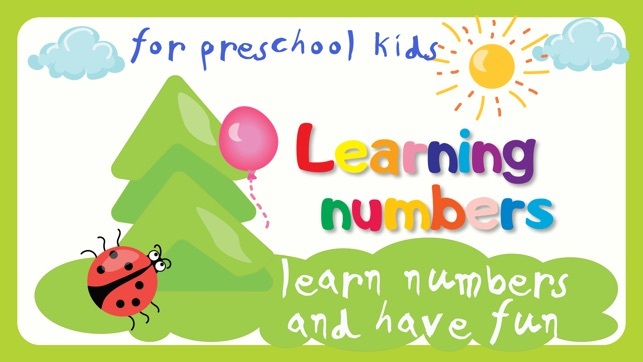 “Learning numbers is funny!” is an educational game for the most intelligent kids and their parents! - Playing and learning numbers from 0 to 9! Educational application “Learning numbers is funny” proposes the most intelligent kids to get acquainted with a world of mathematics. 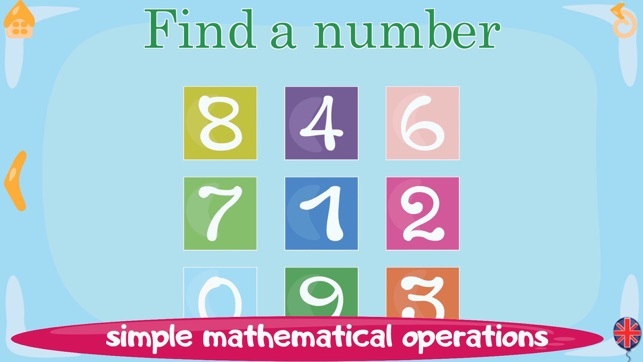 It will help a kid to learn numbers and some mathematical operations in easy and interesting way. The application is divided into 3 blocks. 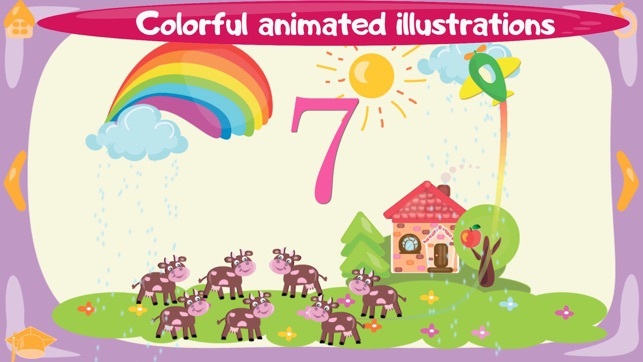 In the first block, a kid is get acquainted with figures from 0 to 9. Each figure is presented in such a way that a kid can easily remember it. Bright animated picture and a rhyme voiced by a speaker will help him. Images “come alive” when you click on it. A kid can turn on rain, wake up a bear, feed a frog, etc. The second block consists of exercises to fix obtained knowledge. For example, a kid counts numbers and founds a needed one among the numbers brought by bees. A kid will understand well what numbers are greater and what numbers are less. All levels are voiced by the speaker. All tasks are presented in a form of interesting game. We love children, therefore we create kind rhymes and draw funny pictures. We have professional speakers in our team! We appreciate your choice of our game! Thank you for your kind references! If you have any comments, please send a message to our email: support@catdonut.com, and we will reply you for sure. 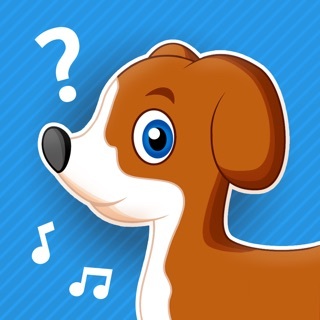 The game contains music from Kevin MacLeod (incompetech.com). The game is presented in three languages: Russian, English and Ukrainian. We are open for all your suggestions! Send your proposals to email: support@catdonut.com. My 26 month old grandson loves the painting and matching the numbers in the pictures - great for learning colors and numbers! 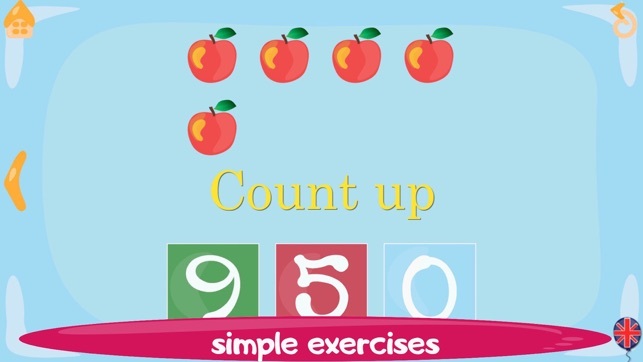 My child has enjoyed coloring and learning all about numbers with this app! My kids really like it!